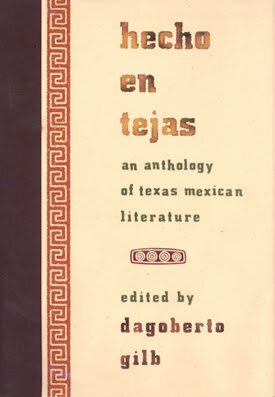 I found these two poems in an anthology called Hecho en Tejas: An Anthology of Texas Mexican Literature (pictured left). It just captures the profound sadness of this entire situation, where one person’s genius could fail to be recognized simply because the system they live in refuses to recognize what they have to offer. Instead. that system buries it under grades and other measures that all culminate in one thing: the message that this person is worthless and has nothing to offer. what is it you chicanos want? is it that you want us to tolerate you? When Delgado goes on to refute these questions, he makes so many excellent points. Understanding? Well, there’s a huge difference between understanding and comprehending. It won’t help. Tolerance? That just means you’re putting up with someone — tolerance does nothing to stop bigotry or racism or any of the problems from which discrimination arises. And admittance? Just asking that question situates one group on the “inside” and the other group (in this case, Chican@s) on the “outside.” That’s no good either. Delgado’s poem really digs into the issue of race relations and points to some major flaws in the way mainstream (white) America tries to address the issue. It’s a really worthwhile poem to read — let me know what you think if you get the chance to read it.